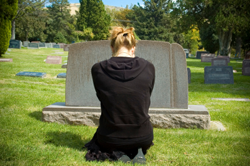 On this show Dr. Heidi Horsley explores with bereaved spouses, John Polo and Lisa Kolb, the challenges and issues related to the death of a spouse. Contemporary issues such as blogs and online dating are discussed. John is the author of the best selling book Widowed. Rants, Raves and Randoms. Lisa is a food writer and ex-assistant district attorney for the Bronx.